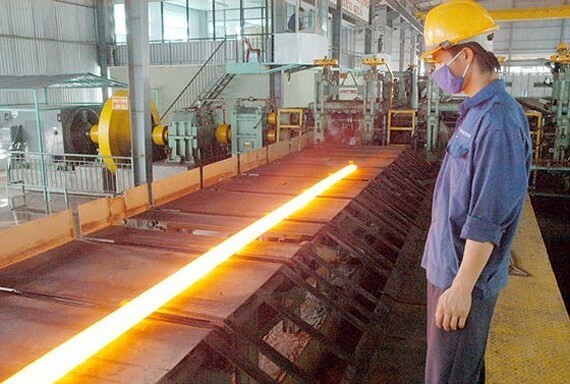 According to the Vietnam Steel Association (VSA), the Vietnam's steel industry has faced many difficulties and challenges during the past time due to the excess capacity and fierce competition from domestic enterprises as well as direct impact of imported steel from Chinese market. Along these problems, input materials have irregularly increased and reduced directly impacting production and business efficiency of enterprises. Especially, Vietnam’s steel industry is highly dependent on the international material market. Most of input materials for steel production must be imported. Specifically about 90 percent of iron ore , 100 percent of fat coal, 70 percent of scrap steel and 100 percent graphite electrode have been imported. As estimated, demand of steel production is forecast to raise highly with the country's economic growth rate able to reach 6.7 percent to 7 percent a year in the period of 2019- 2023. At the same time, it is considered as a period of deep economic integration, especially the implementation of new free trade agreements such as the Comprehensive and Progressive Agreement for Trans-Pacific Partnership (CPTPP), the EU-Vietnam Free Trade Agreement (EVAFTA), the Regional Comprehensive Economic Partnership (RCEP), etc, which will create favorable conditions for Vietnam's steel industry to expand the import- export market, to import raw materials, equipment and modern technologies for the domestic steel production. However, adoption of trade liberalization agreements will create more fierce competitions, especially the Chinese steel products. 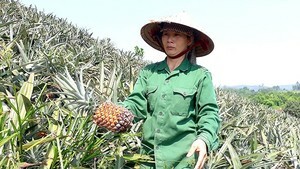 Besides that, Vietnam will also face international legal proceedings causing difficulties for the export. However, VSA has issued an optimistic forecast with an average growth rate of about 8 percent -10 percent per year in the forthcoming time. In order to get the target, enterprises have to continue strengthening investment, innovating modern technologies and equipment into production, changing thought and improving knowledge and skills for employees.